Our latest round of updates includes three of our most recently requested features: Budget Tracking, Rate Tracking, and Cost Tracking! This article will give you a quick overview for each of the new features, and you can click on the links to our help center for more detailed info and tutorials on how to enable and configure each feature. Budget tracking will now allow you to track your project budgets, and receive email notifications when projects are close to their budget and when the budget has been exceeded. You can track budgets by total project hours, billable project hours, or total project fees (if you have rate tracking enabled). View more about Budget Tracking in our Help Center. 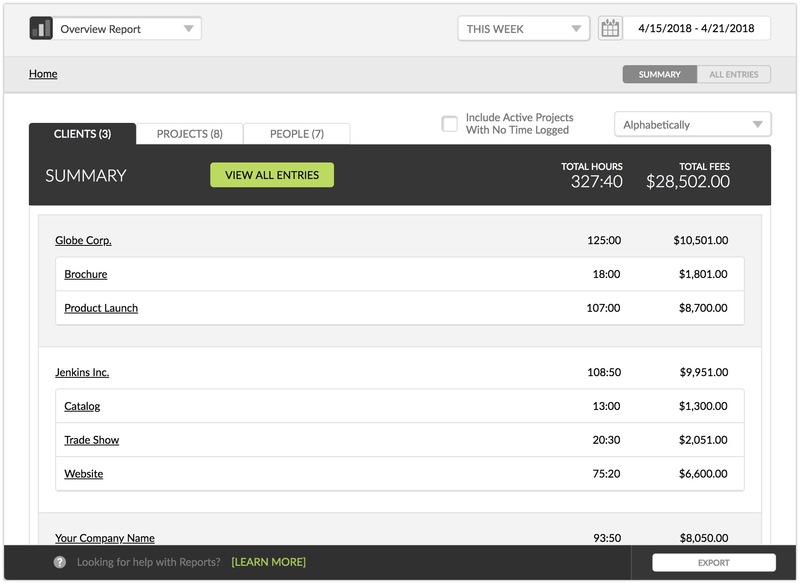 You can now choose from 3 available rate tracking styles to track what you charge for your project work, and you can see your total projected billings for each project in all of our reports. This enables you to keep track of your projected income in real time, and is super helpful to keep tabs on where you are with billable fees on a project. View more about Rate Tracking in our Help Center. 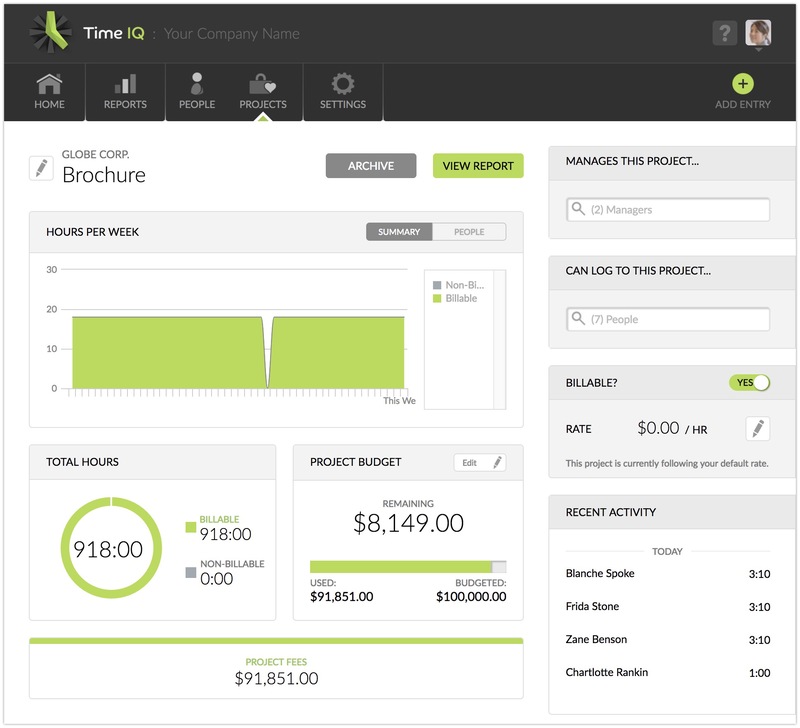 The cost tracking module will allow you to assign a per-hour cost to each of your employees to track your project and labor costs. You can either use the actual hourly rate of the employee, to use as a payroll cost estimate, or you can calculate an actual cost per hour for salaried employees including overhead and benefits to better gauge your project profit and loss. View more about Cost Tracking in our Help Center. All of these features can be enabled from the Settings page of your Time IQ account, which can be accessed by all Administrative level users. 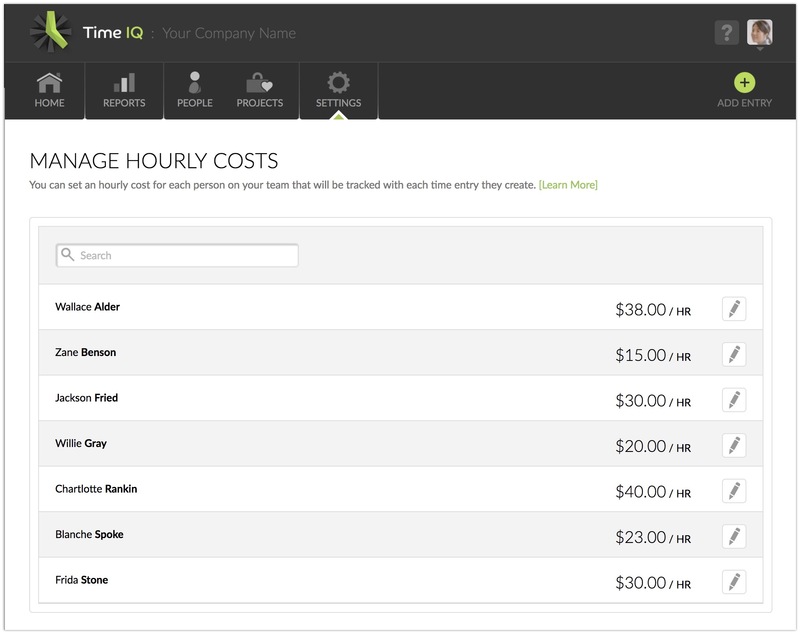 Once those features have been enabled, you can update old time entries with cost and rates via your reports interfaces. If you need any help, feel free to contact us at support@timeiq.com.